Pristine preowned mens Rolex Datejust II (ref. 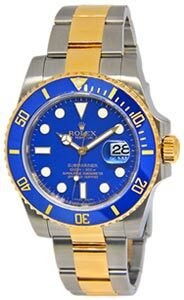 116300) in stainless steel features blue index dial and custom diamond bezel. Engraved inner bezel with scrambled serial number. Comes with its box as shown.